Help with the conservation of Mule Deer in Montana at the 13th Annual Banquet of the Big Sky Chapter of the Mule Deer Foundation. We are giving away 5 pairs of tickets! There will be a live and silent auction, raffle games, and a great dinner. We will have many great items for hunting and camping and of course GUNS! Basically, for every 10 people who attend, 1 is going to go home with a new gun! The Mule Deer Foundation banquet, April 20th from 5-10pm at the Big Horn Resort! *Contest ends April 18, 2019. 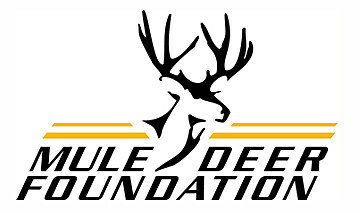 The purpose of the Mule Deer Foundation is to ensure the conservation of mule deer, black-tailed deer and their habitat. Our goal is to restore, improve and protect habitat resulting in self-sustaining, healthy, free-ranging and huntable deer populations.